The CCNP (Cisco Certified Network Professional) Certification is one of the important certifications from Cisco that a networking professional must have to move ahead in their career. 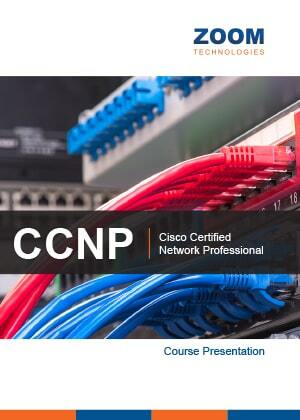 The CCNP certification training is now in great demand in the IT industry and over the recent years it has become a global standard for many successful IT companies. This certification from CISCO is accepted all over the world as the best in the field of networking. It is perfect for people who wish to excel in this field, for those who are ready to advance their skills or those who have been trying to get into top positions in their networking career. 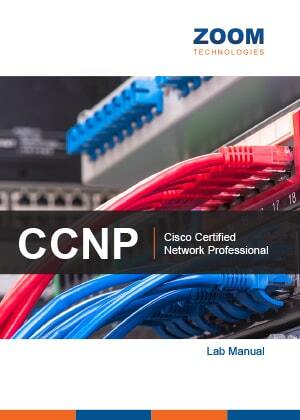 The CCNP certification also equips the network engineer to work independently on complex network solutions. Over the last many years, Zoom Technologies has been a catalyst for training networking associates for the CCNP certification exam which is the second mile stone in the path of CISCO certifications. The all new CCNP Training offered by Zoom Technologies has 3 modules 1) CCNP ROUTE 2) CCNP Switch & 3) CCNP TSHOOT which validate the ability to plan, implement, verify and troubleshoot local and wide-area enterprise networks. The course covers topics like EIGRP, OSPF, BGP, IPv6, VPNs, L2 / L3 Switching, VLAN, VTP, HSRP, VRRP, GLBP, VOIP, Wireless, Troubleshooting methods. 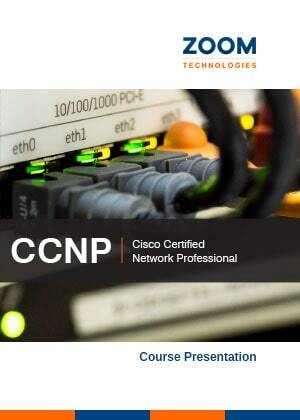 The CCNP training is given by proven Senior Network / WAN Engineers possessing several years of field experience.